Ferro Provides Tailor Made scissor lifts customized to clients specific requirement. We provide a variety of Scissor lifts in various shape, size and capacity as per our client requirement. Over the years IEFL has offered many special courses tailor-made to suit the needs of an individual or a group. Classes are also conducted on the premises of different Schools / Colleges / Educational institutions. : A Student who comes to us with a determination to improve will surely succeed. Our fashion technology specialist who are leading faculties in garment stitching industry offers advanced Tailoring Classes in chennai. We Teach Around 150 Crafts In Kolkata By Experienced Facaulties. As kids are growing faster many new clothes would become unfit.Adults also feel uncomfortable with increase or decrease in body size. So, there is always a need for stitching. We are offering High Skilled Tailoring Service to our clients. This course is specially designed for all those aspirants who want to be fully skill for stitching all the major routine gent's garments that too with all the possible variants in the respective. 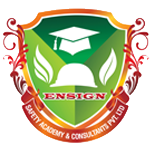 Our company has earned accolades for providing Tailoring Course to the clients. Tailoring Course helps the students learn how to make clothes for themselves and others. This course would teach basic stitches, making apparels for ladies, gents and kids; designing dresses, both regular wears and fancy dresses.